The Walt Disney Grand Theatre in Disneytown Shanghai will host the Disney Magical Film Festival, featuring two beloved Disney and Disney•Pixar animated films – Frozen and Toy Story 3. Shanghai Disney Resort will thrill guests with exciting pre-shows with immersive experiences for all ages. For a limited time, March 29 to April 15, 2018, you can take part in these spectacular events coming to Shanghai Disney. Both Disney’s Frozen and Disney Pixar’s Toy Story 3 will be represented in 3-D during Disney Magical Film Festival. Cast will perform with all your favorite Disney or Disney Pixar friends including Mickey and his pals appearing on the stage to kick off the show! Guests will be taken from Winter to spring on a journey to Arendell at the Frozen screenings. Anna and Elsa and their friends will be joining guest before the screening to be apart of a magical snow surprise. 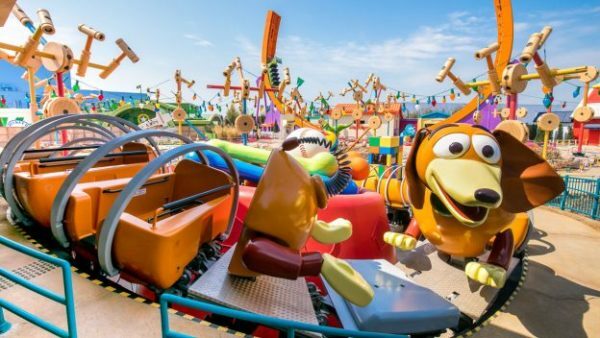 Buzz, Woody, and the Sunnyside Daycare crew will kick off the Toy Story 3 screening just yards away from the new Toy Story Land, which is soon to be opened at the Shanghai Disney park. Share in the fun with all your Toy Story friend on selected dates April 5th to the 15th. Guest will be able to purchase exclusive Toy Story 3 and Frozen merchandise in gift shops around the theater. Tickets are on sale now at the Walt Disney Grand Theatre box office. Check back to Chip and Co. soon for all your up to the minute Disney news and updates! Click here for your no obligation quote!